Who killed crime writer Juhani Oxbacka? A dark April evening, a shadowy path along the shore and a blood-thirsty gaze – thus ended Oxbacka’s life. There is no shortage of possible motives for the murder. Does it have something to do with the sudden upturn in Oxbacka’s writing career? Or his fast living? What was the author doing east of the border last fall, and what did the trip have to do with the mysterious “White Russian”? 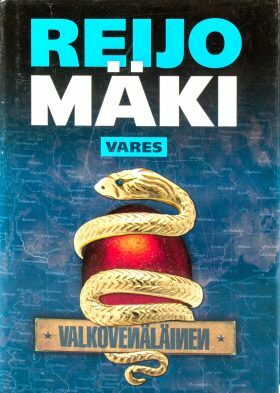 It’s a tangled web, and just as Vares gets close to solving the case, the shenanigans turn life-threatening. Can Vares get the job done before any more bodies turn up?